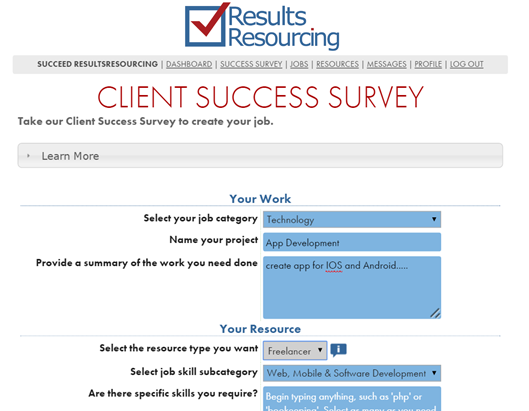 Using ResultsResourcing reduces the traditional time to hire to a week or two. All we need is enough time for the best freelancers to see your job and submit proposals we can vet for you. YOUR TERMS, BUDGET & TIMELINE! Pricing depends on your job requirements but most searches cost $500 on average.